608 Acorn Court features the traditional Forest Grove floorplan with two beds and two baths, including a master suite, plus two car garage and patio. You'll appreciate the living room's vaulted ceilings, bright windows and fireplace with gas insert for those cooler evenings. Freshly painted interior, new carpet and kitchen linoleum, new forced air furnace and newer gas stove. 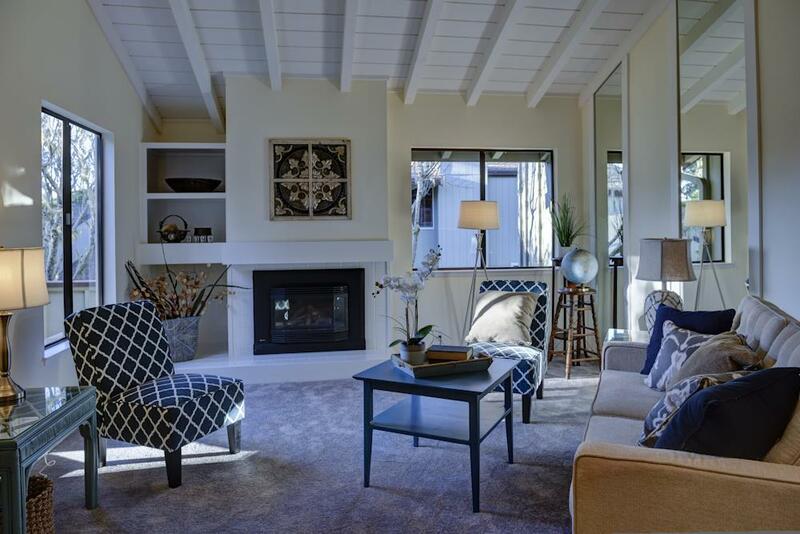 Excellent Pacific Grove location, close to Pebble Beach, Asilomar Beach, shopping and roads near-by. You'll love where this townhome sits within the complex, private yet EASY for your guests to find, with plenty of space for guests to park.